Does The Phone Come WIth A Micro SD Card Installed Or Is That Something You Have To Buy? With only 16 gigs os space (probably more like 11 gigs useable) it seems like it should be something that all these phones are going to be using. Any recommendations/inks for a good 64 gig micro SD card? It doesn't come with a micro SD card. The internal storages on Galaxys are often called with names like "sdcard0" though, so it might confuse some people. You have to buy it. I like Sandisk. Some have had problems with them but YMMV. I've had problems with all others other than Sandisk so thats why I stick with them. I notice there are any number of different micro SD cards with different designations, etc....even within one manufacturer like Sandisc. Could you explain the differences or recommend which "level" of micro SD car will work optimally with this phone? There are different classes of sd cards, class indicates speed. So class 10 is the fastest class. But even within class 10, some cards are faster than others. Really for normal use, a class 10 from any reputable manufacturer from a reputable source is fine. As word of warning, if you are buying from Amazon.com, make sure that it is sold by Amazon.com and not by a third party. GrooveRite and Colby1944 like this. I've used SanDisk for some time. Highly recommend you get a Class 10. Get one with the highest capacity your can spring for. I personally use a 64gb card with zero issues. I would go with 128gb on any device this year if you can afford it! I have a SD 64gb c10 on my S3 for 2 years now with no corruption issues. Only problems I've had is when I've dropped my phone, the card tends to slightly dislodge causing it to disconnect. Its happened 3 times within the 2 years I've had my device so far. Now, if you have apps and/or app data on your sd card, that is most likely what is causing problems for many with sd cards. 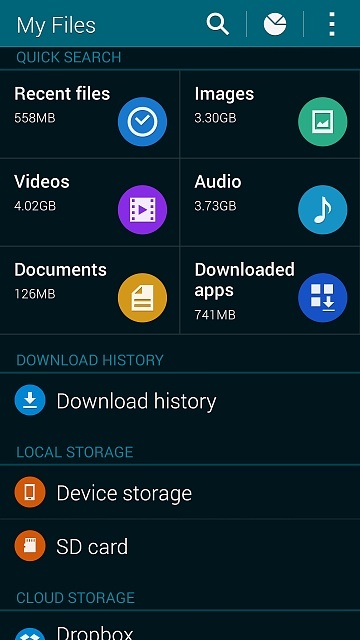 Keep you apps and app data in your internal memory and your multimedia files on your sd card. If you find yourself needing to move apps and/or app data to your sd card, then you're in need of more internal space on your device. I thought the S5 was limited to 64gig?? I use my Sd card mainly for music. I download A LOT of DJ mixes that are anywhere between an hour to 3 hours long. These damn files add up and I'm constantly erasing to make room for new content. My Music folder is currently at 39.8gb. I also carry HD movies so I can either watch on my phone or an HDTV when I'm away from home. These range anywhere between 1.2gb to 8gb. If 32gb is enough for you then you are golden! Just remember not to move apps and/or app data to the sd card....nothing but problems. Those should be compatible but their reliability and durability is questionable in my opinion. I've tried PNY and Kingston from Newegg and I've had read/write issues with them with previous devices. Others claim to have had success with them so I guess its hit or miss with them. Can someone give me some idea how many full 16MP photos and/or songs a 32 or 64 gig SD card can hold? Trying to decide how big an SD card to get. I have a 32gb that I bought for my Droid 4. I would go up to a 128 when I can afford it. I like having the space. I also put TV shows or movies on my card to watch at lunch. I also have music and other items on there. I like using the basic "My Files" app. I can find my videos to watch easily. Why shouldn't I get a windows phone?